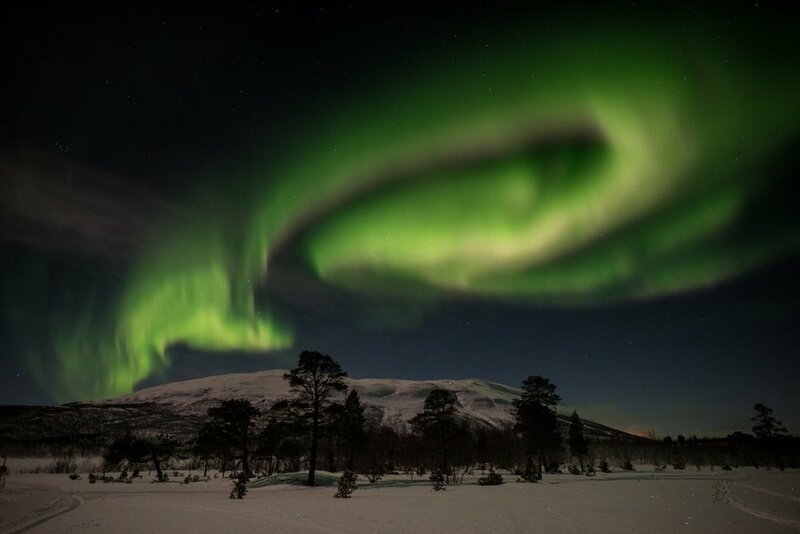 Have a look at these amazing photos of Northern Lights in Swedish Lapland. Wanna come? Each Winter we do some outstanding small group tours to Swedish Lapland. 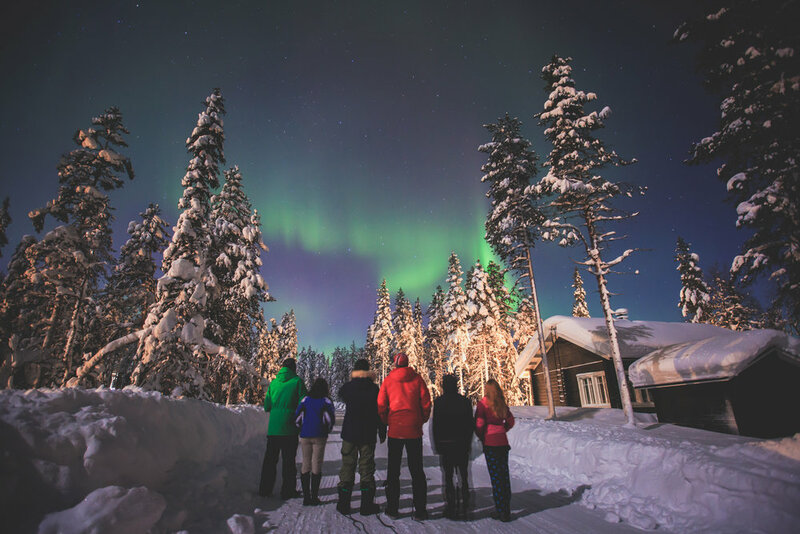 Expect to see not only Northern Lights, but also Moose, Reindeer and meet with cool people. 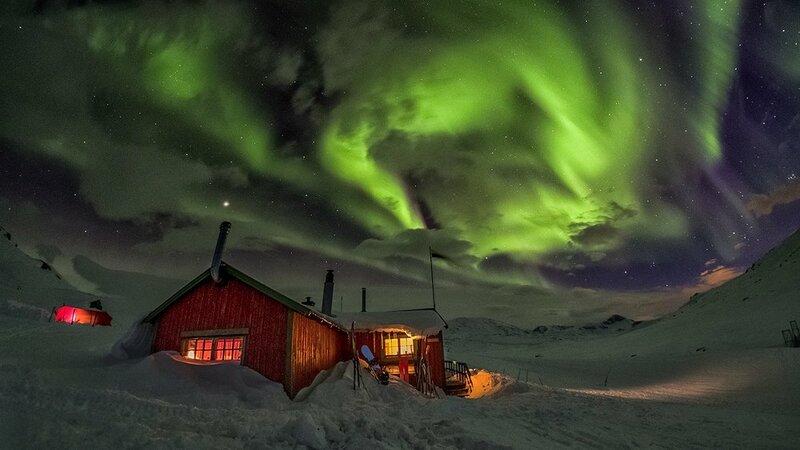 Seeing the Northern Lights is at the top of the bucket list for a lot of nature lovers all over the World. Another name for the Northern Lights is Aurora Borealis. It is the same thing. 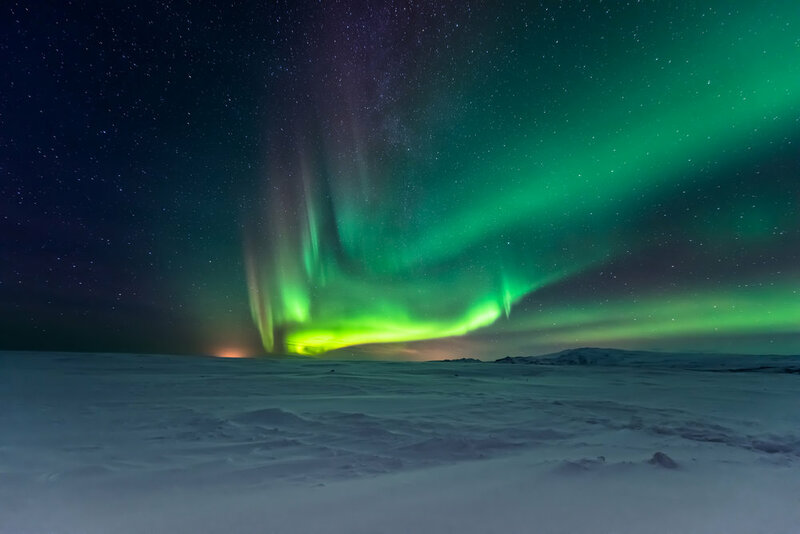 These lights appear above our planet's magnetic poles all year but can only be seen when it is dark enough. How? Simply put, when electrically charged particles from the sun collide with the earth's atmosphere, creating slowly moving displays of green, and sometimes also red, purple and even blue. These pictures are some examples of how the Northern Lights is one of the most jaw-dropping shows you'll ever see. 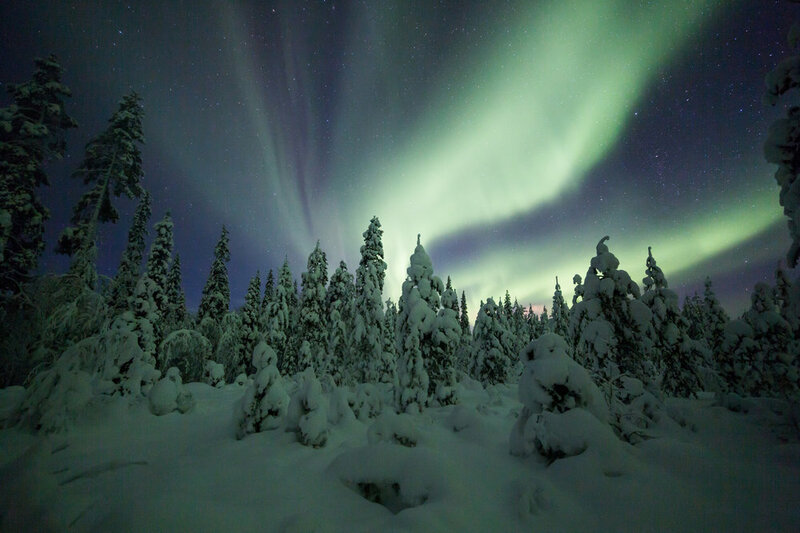 We hope we see you under the Aurora in Swedish Lapland this coming winter. Just come - don't wait! Imagine yourself in this cabin. But you better remember to have a look outside once in a while. Don't miss it, set the alarm. After all, you didn't come here to just sleep. 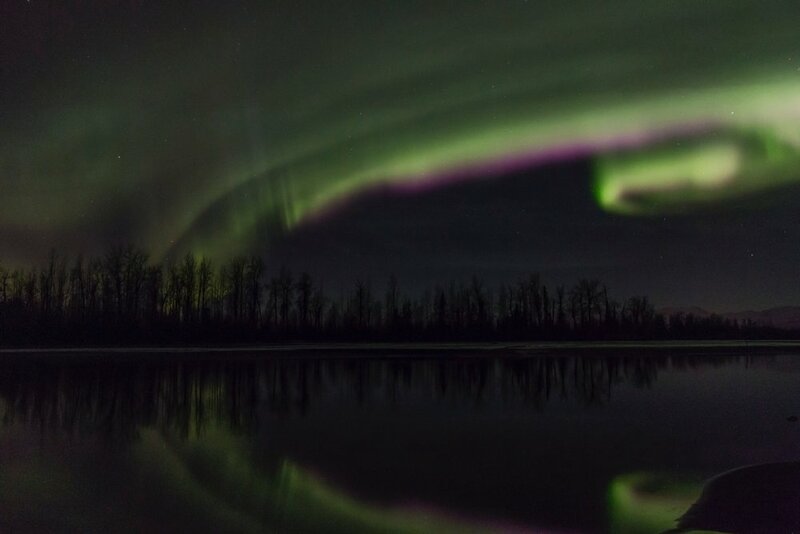 Your camera can't take photos of Northern Lights on it's own. 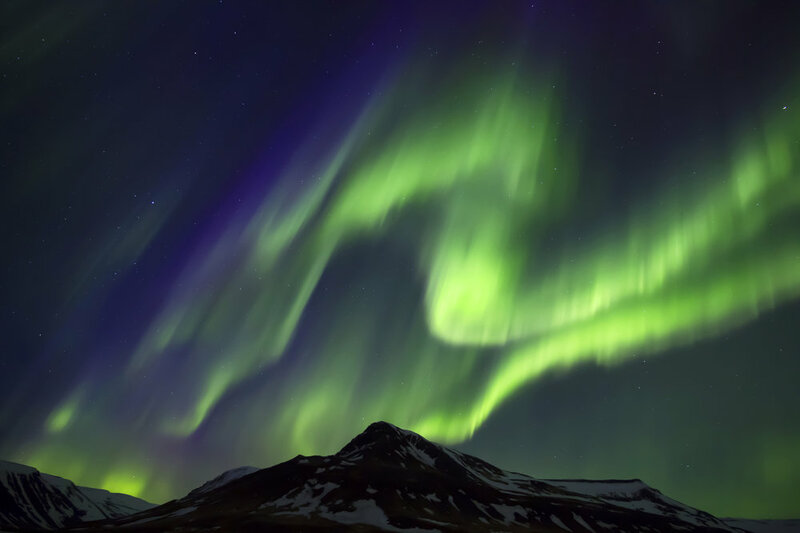 The Northern Lights are mostly green, but with a bit of luck you can also see it in hues of pink, purple and red. Tip: If your main aim is to capture photos of Northern Lights, you should get away from the city lights. You don't have to travel far. 10 minutes by car could be enough to bring you to a place like this! Just you and the trees. Wanna celebrate New Years Eve with us under the Northern Lights? 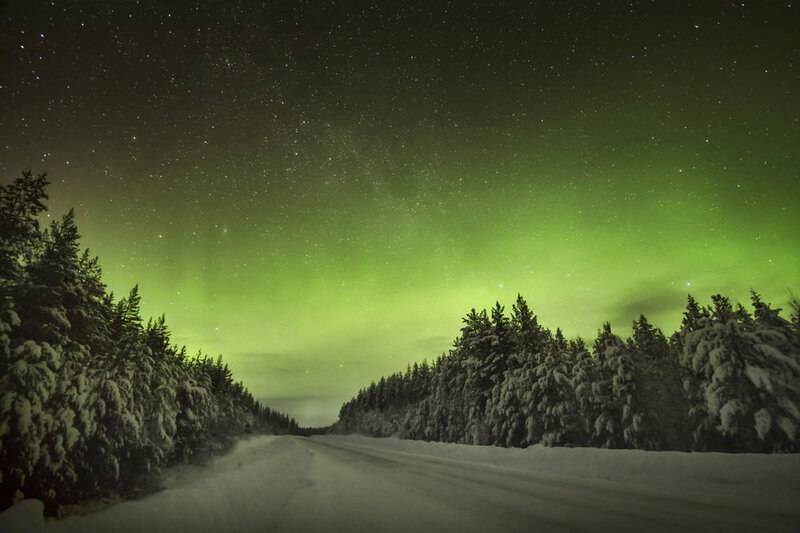 This photo is taken not far from Jokkmokk where our guests stay in tents during some of our Northern Lights tours in Swedish Lapland. Cold? Believe it or not... these tents are heated and have proper beds, so you will sleep like Princess Aurora under the Northern Lights, even if it is -30°C outside! If you come early in the season between September and November the lakes are not frozen yet. On a still night you may see the lights reflected in water. 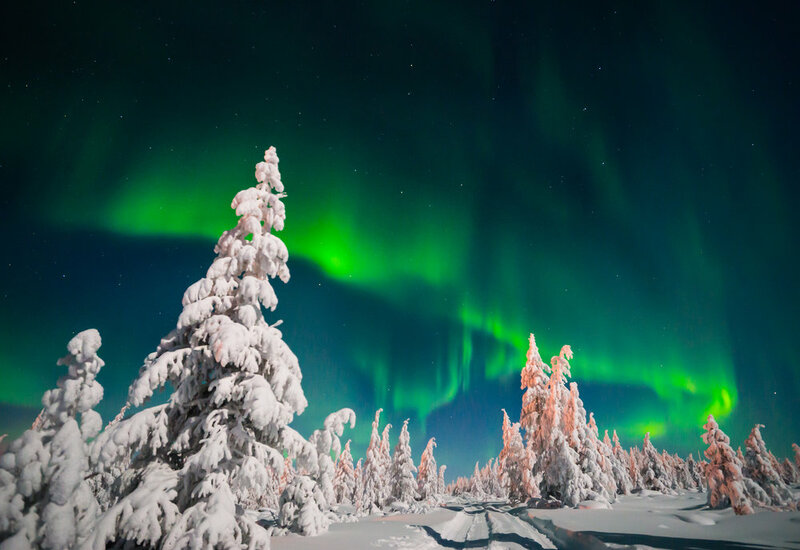 Expert tip: During your trip you can check your chances to see the Northern Lights on a day-to-day basis. Check out Aurora forecast to see how active the aurora is expected to be. Also make sure you check the normal weather forecast to see if there is a chance for clear skies or if the forecast looks cloudy. This will help you decide if you should stay up all night or just forget about the aurora and have a good night's sleep. You can't be out watching for the aurora every night. Choose your nights wisely. Focus on the nights with the most promising forecasts. Most of the time it may be just a vague green shimmering above the horizon. You need a clear and dark sky to see the aurora. The longer and darker the nights, the better your chances.You can only see and take photos of Northern Lights during the dark season which is basically September until March. 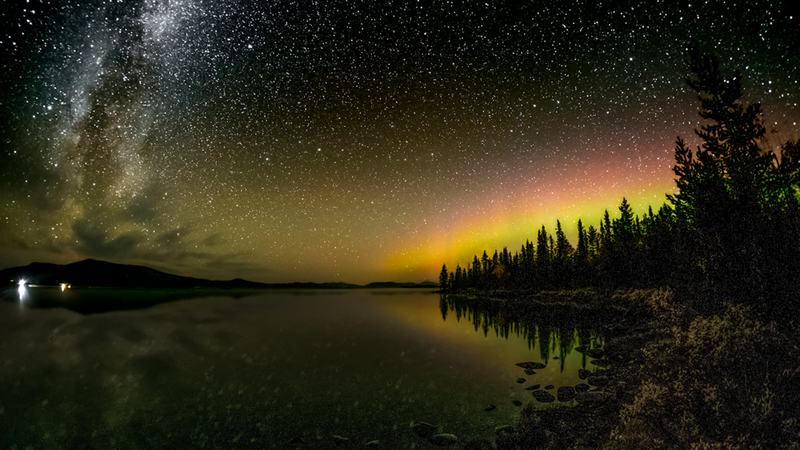 There is actually Northern Lights all year, but the Summer nights are just not dark enough. 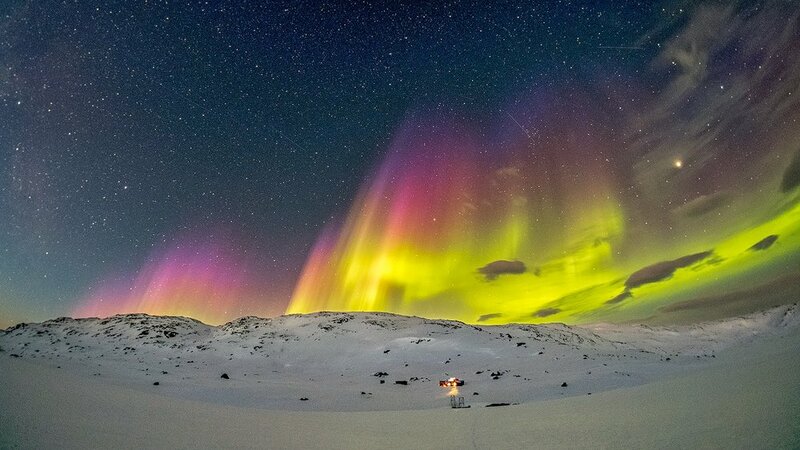 Magic moments.One of many amazing photos of Northern Lights above the mountains. Night sky. See the house at the left? Wondering why the trees are so bright? At this occasion the forest was lit up by a full moon, and hence all the light. Some snow and moon shine can certainly add some gospel to your photos. Are they moving? Yes, the Northern Lights are moving and changing slowly, sometimes faster, as if they dance across the sky. Relaxing in the sofa? Perhaps you are sorting out your photos from a day out in the snow. But remember to look outside once in a while ;) You never know what's dancing behind the trees. Sometimes it may be visible for just a few minutes and then disappear like it never was there. A mountain or a forest in the foreground will make your images more interesting. Our guides will teach you the tips and tricks for how to capture photos of Northern Lights. Any kind of cameras are welcome, even mobile phones. 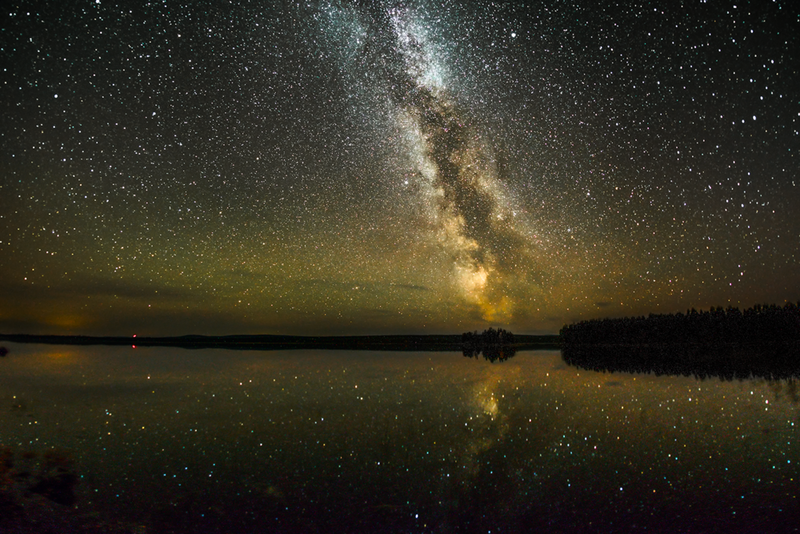 Even when there is no aurora, you can still marvel at the millions of stars. You probably haven't seen it this bright before.